Since it is still National Poetry Month, I got motivated to do some cowboy poetry. What is cowboy poetry, you ask? It is just like it sounds: poems about cowboys and cowboy life. There are many cowboy poets and even cowboy poetry gatherings where enthusiasts share poems and music. As I sat down to write, I was inspired by a great book I just finished reading entitled Under a Painted Sky. It tells the story of two girls who run away from St. Joseph, Missouri, dressed as boys. They fall in with a group of cowboys and adventure ensues. 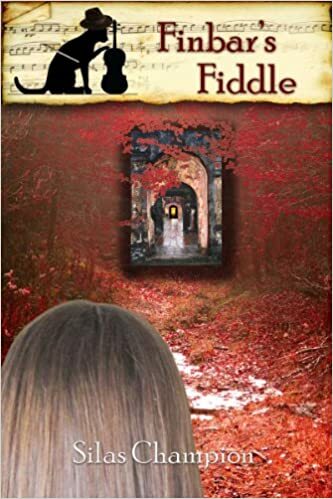 It’s a great book written by Stacey Lee who is an awesome writer and a great person. You can check out her website here. Sad and lonesome, we followed the sound to some pine trees swaying. There by a fire sat a boy sawing sweetly on the strings. And the sound rose gently with the smoke, like a bird on the wing. When he stopped he looked up and we could see that he was Chinese. So we got down and sat around ‘cause he was the first we ever seen. “What you doing out on the plains?” Ole Red asked with a grin. “Same as you, passing through.” Then he started playing again. “You talk real good for a foreigner,” Slim spoke over his tune. And in the morning we gave him a horse and headed down the trail. He wasn’t much for riding and his roping was much the same. But he saddled up every day and he wasn’t too proud to show. That there was a lot he had to learn that a cowboy ought to know. So we all took turns teaching him how to rope and ride. How to cinch his saddle tight and to swing his loop real wide. It wasn’t long before he caught on and I’d say that he had sand. And after a few weeks on the range he became a pretty good hand. One day we forded a river that ran deep and cold. We made it to the other shore, chilled down to the bone. Everyone but Sammy, for he was nowhere to be found. So I rode down the riverbank, praying he hadn’t drowned. I found him downstream safe and sound, drying on a rock. And that is how I found that Sammy was a she. And a little cowboy and a cowboy girl follow close behind. At night I look up at the stars and my heart fills with joy. And I thank the Lord for the night I found Sammy the Chinese Cowboy. 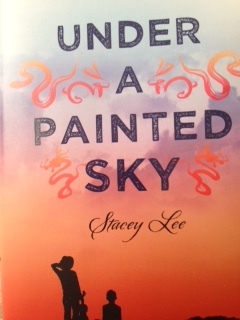 If you want a copy of Under a Painted Sky you can get it here. This entry was posted in Poems and tagged cowboy poetry, cowboys, Poems, writing. Bookmark the permalink.